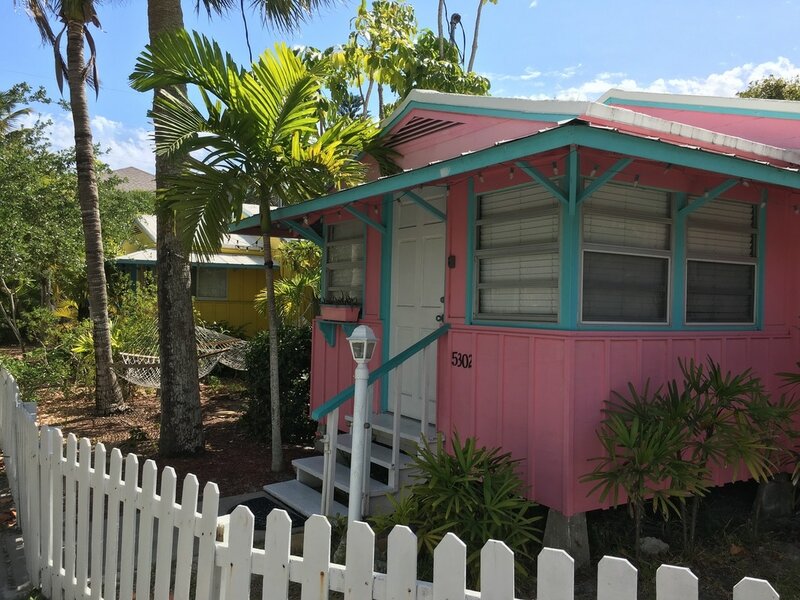 Enchanting Tropical Island Cottages and Beach View Suites on beautiful white Siesta Key Beach in Florida with secluded patios with gas grills, hammocks, shade, charm and sunshine, make Beach Palms a paradise for you! Escape to the Gulf of Mexico, lounging in a hammock under sweeping coconut trees, and listen to the peaceful sounds of the gulf on your ample tropical patio. ​Cherish the barefoot luxury and walk to the Siesta Key Village, FL with its friendly stores and sidewalk cafes, with live music and the casual village shopping. Enjoy the island life with biking, fishing, kayaking, paddle boarding, tennis and more. Retreat into massages or Yoga and Tai Chi on the beach. Sarasota and Siesta Key Florida have a large arts and wellness community, which enhances your stay tremendously. 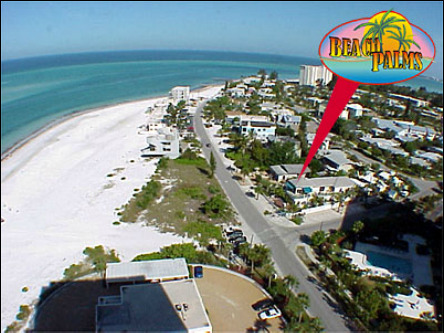 Weather and beach conditions on beautiful #1 Siesta Key Beach: view here! *Being a small boutique resort hotel, we do not advertise on corporate sites or on booking engines. Please inquire by clicking Contact Us or by calling (941)3499900 or by sending us an email. 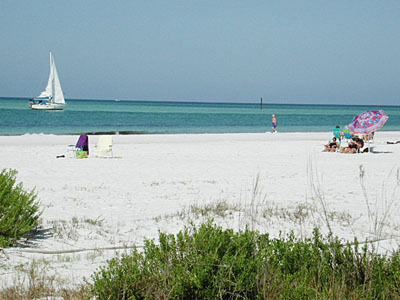 The biggest attraction on Siesta Key, Florida is the three mile long white Siesta Beach. This wonderful powder white sand beach, with its 99% pure quartz energy, is perfect for a brisk run or a little stroll. Either one is rejuvenating and healing. Siesta Beach is one of the top ranked vacation beaches in the state of Florida and Worldwide. ​Siesta Beach (Sarasota, Florida) was Voted America's Best Beach in 2017 by Dr. Stephen P. "Dr. Beach" Leatherman and also voted America's No. 1 Beach by Trip Advisor in 2017. ​Additional accolades include "Best Beach in America" by The Travel Channel in 2004 and the "World's Whitest, Finest Sand Beach" at the International Sand Contest in 1987.